Collapsin response mediator proteins (CRMPs) are a family of ubiquitously expressed, homologous phosphoproteins best known for coordinating cytoskeletal formation and regulating cellular division, migration, polarity, and synaptic connection. CRMP2, the most studied of the five family members, is best known for its affinity for tubulin heterodimers and function in regulating the microtubule network. These functions are tightly regulated by post-translational modifications including phosphorylation, SUMOylation, oxidation, and O-GlcNAcylation. While CRMP2’s physiological functions rely mostly on its non-phosphorylated state, dysregulation of CRMP2 phosphorylation and SUMOylation has been reported to be involved in the pathophysiology of multiple diseases including cancer, chronic pain, spinal cord injury, neurofibromatosis type 1, and others. 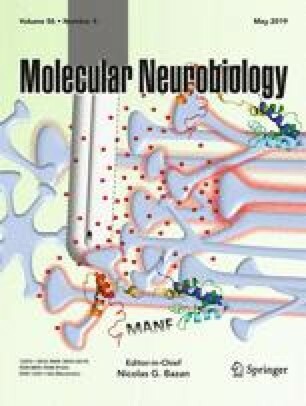 Here, we provide a consolidated update on what is known about CRMP2 signaling and function, first focusing on axonal growth and neuronal polarity, then illustrating the link between dysregulated CRMP2 post-translational modifications and diseases. We additionally discuss the roles of CRMP2 in non-neuronal cells, both in the CNS and regions of the periphery. Finally, we offer thoughts on the therapeutic implications of modulating CRMP2 function in a variety of diseases. Aubin Moutal and Katherine A. White contributed equally to this work. This work was supported by National Institutes of Health Awards (1R01NS098772, 1R01DA042852, and 1R01AT009716 to RK, R01NS082283 to JMW, and R01HL135112 to PFV), a Neurofibromatosis New Investigator Award from the Department of Defense Congressionally Directed Military Medical Research and Development Program (NF1000099 to RK), funding from the Synodos for NF1 program at the Children’s Tumor Foundation to JMW, and a research award from the Children’s Tumor Foundation (2015-04-009A) to RK and JMW. A.M. was supported by a Young Investigator’s Award from the Children’s Tumor Foundation.